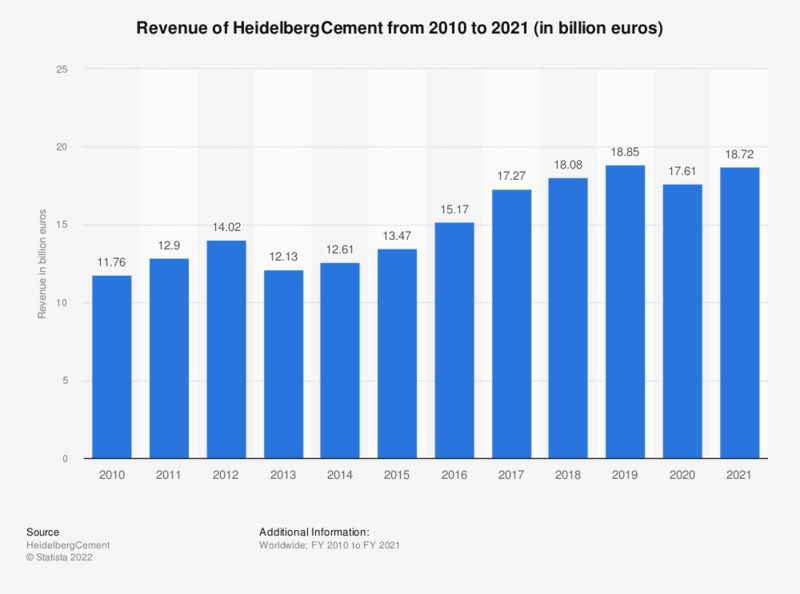 This statistic represents HeidelbergCement's global revenue between the fiscal year of 2007 and the fiscal year of 2017. In the fiscal year of 2017, the German multinational building materials company generated around 17.27 billion euros (or about 21.27 billion U.S. dollars) in revenue. The figures for 2007-2015 are taken from a previous annual report.